Our mission at Spocket is to help you run a successful online business. 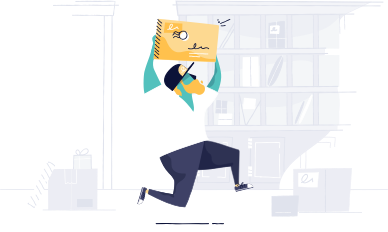 We provide you with proven and discounted products from trusted suppliers, and although we automate the entire process from real-time inventory updates to order processing, there is still one thing you need to focus on: Sales. Honesty and transparency is one of our prime motivators. We don't believe in over-night success, but have no doubt that you will be successful if you have the passion and the patience. To build a healthy long-term business, you need to earn more than what you spend. These tips will help you understand the numbers to add enough margin and not lose profits. Don't forget to add the shipping cost. Learn more about the shipping costs. Spocket products are between 25%-50% off the retail price. Make sure you have at least 25% margin after adding shipping cost and taxes. Offer free shipping for all the products. Learn how to offer free shipping. Slowly spend capital on ads and paid marketing. Start with $5 per day and increase it over time if you have enough sales to cover the cost. Build a good looking website by using high quality and relevant images. Create your social accounts on Pinterest, Facebook and Instagram and market your products there. Partner with bloggers, YouTubers and influencers in your niche.